As a medical oxygen user, you may feel confined to a home oxygen concentrator. There are other medical oxygen options other than tanks and bulky concentrators. Portable oxygen concentrators allow oxygen users the freedom while supplying the oxygen needed. These lightweight, compact and affordable portable oxygen concentrators are easy to use and are FAA approved for airline travel. Please fill out the form on this page and Health Complex Medical will assist you in getting the travel oxygen concentrator to meet your needs. 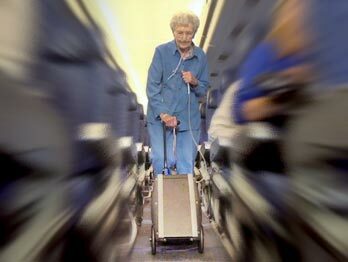 Planning airline travel can be a concern when you rely on medical oxygen to get through a typical day. Making sure that your medical oxygen is approved for air travel, meeting your oxygen needs, convenient for transport and affordable are all equally important. 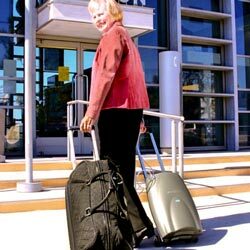 Health Complex Medical’s portable oxygen specialists will help determine an affordable portable oxygen solution that is FAA approved for air travel, giving you no-hassle peace of mind wherever you go with your travel concentrator. Fill out the form on this page to have an oxygen specialist find the best portable oxygen concentrator for your upcoming travel. Are you tired of struggling with heavy and cumbersome oxygen tanks and oxygen carts? Are traditional oxygen concentrators keeping you home? New compact, portable medical oxygen concentrators from Health Complex Medical go where you go, are lightweight (some less than 5 pounds!) and start at just $2,800! Just fill out the form on this page and let Health Complex Medical portable medical oxygen experts help you find the compact concentrator to meet your oxygen needs. 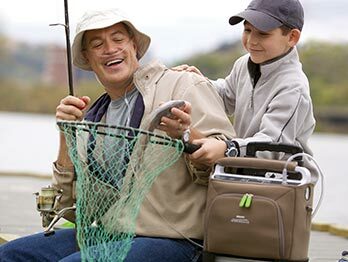 Health Complex Medical carries the latest lightweight and easy-to-use personalized medical oxygen concentrators from trusted names like AirSep, Respironics, OptiLife and SeQual. These lightweight portable oxygen concentrators are convenient, FAA approved for airline travel and affordable  starting at just $2,800! Let our oxygen specialists help you determine which portable oxygen concentrator will be best for you. Fill out the form on this page and your medical oxygen expert will be in touch soon! Health Complex Medical provides a full line of home medical products to make home living easy. See more of the medical equipment and supplies in our online catalog or give us a call at 877-854-3947. Please fill out this form and Health Complex Medical will assist you in getting the travel oxygen concentrator to meet your needs.